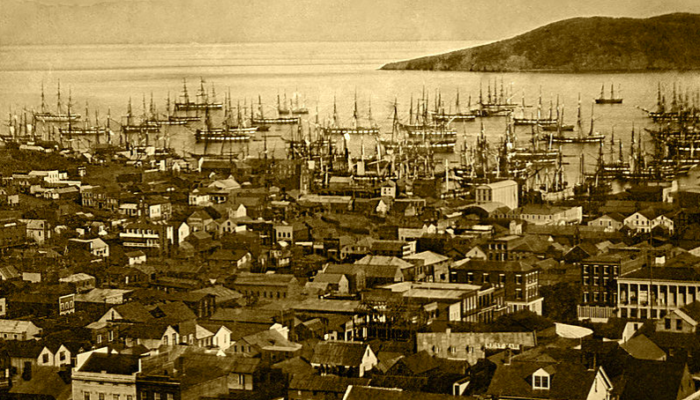 San Francisco was known in its early days as the Paris of the Pacific. You might think this was because it was beautiful and sophisticated, just like the City of Light. And you would be right. But it was more than that. It was also due to the city’s large and influential French community. Hence the term French San Francisco. 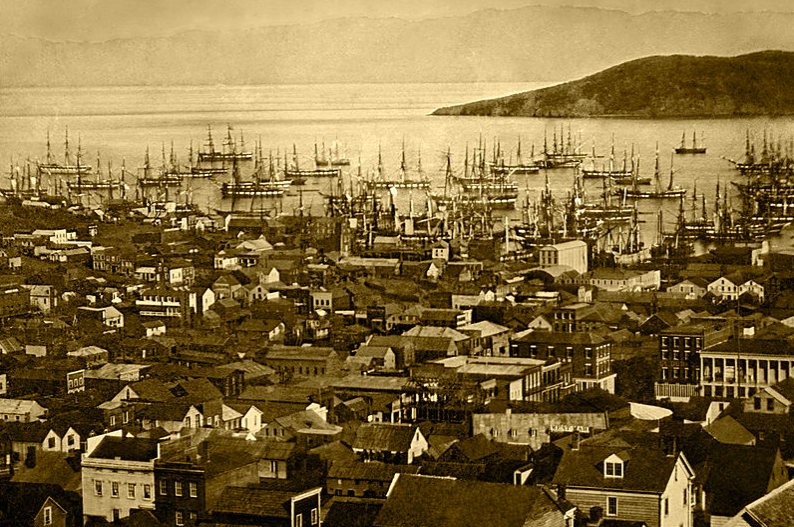 In 1847, San Francisco was still known as Yerba Buena, a ragged settlement of 1,000 people. But the next year, James Marshall discovered some glistening nuggets in the Sierra foothills. The gold rush was on. Countless people from around the world raced to California to make their fortunes. 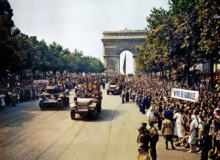 There was an especially strong French contingent because it was a period of great social unrest in France. A time of strikes, riots and high unemployment. King Louis Philippe was deposed in 1848. The Second Republic quickly rose and fell, and Napoleon III became emperor in 1852. This instability, combined with the lure of instant riches, led tens of thousands of French men and women to strike out for the New World. 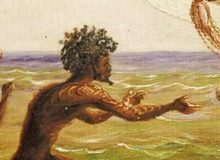 They were known as ‘Argonauts’, after the ship in the mythical tale ‘Jason and the Golden Fleece’. 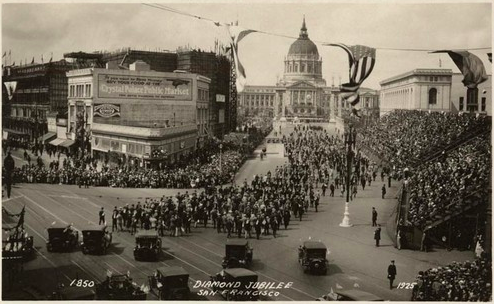 While most Argonauts headed for the gold fields, many stayed in San Francisco. They gathered in a French community centred near Portsmouth Square. 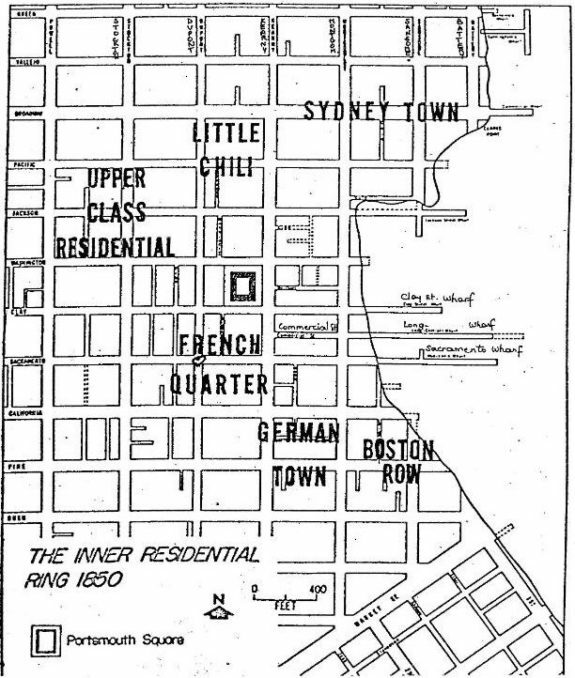 By 1852, the city’s population had swelled to 36,000 and a full 6,000 were French immigrants living in French San Francisco. The French remained the city’s largest foreign contingent until the Chinese arrived to build the railroads. The newly arrived French quickly made their mark on the growing city. They formed mutual aid societies, volunteer fire departments, and ‘vigilance committees’. They built churches, schools, and hospitals. For years, the French hospital, now part of Kaiser was the best-equipped hospital on the West Coast. The French language thrived, with over 30 French newspapers in circulation in French San Francisco. ‘French laundry’ became synonymous with quality. And as for French cuisine, the top restaurant in San Francisco was the Poodle Dog, frequented by the city’s rich and powerful. Legend has it that Poodle Dog was a corruption of the original name “Poulet d’Or “ (Golden Chicken). San Francisco is today world-renowned for its sourdough bread. It was first made in 1849 by the French immigrant, Isidore Boudin, using starter brought from Europe. 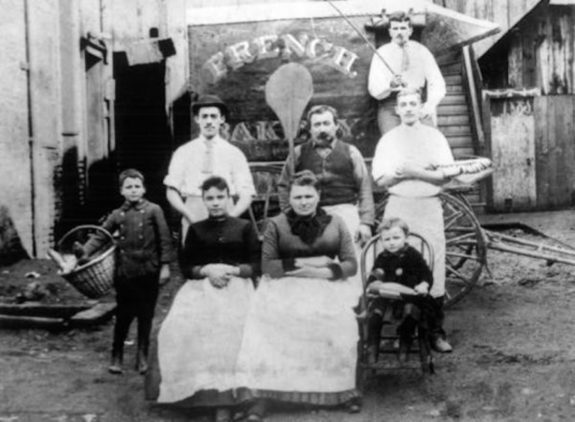 Boudin Bakery is still going strong and is San Francisco’s oldest continuously operating business. 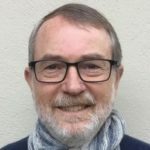 Sourdough bread is so associated with the city that the organism causing its distinctive sour taste is officially called ‘lactobacillus sanfranciscensis’. The world might have lost this delicious speciality in the Great Earthquake of 1906 had it not been for the quick thinking of Isadore’s wife, Louise. With the bakery on fire, she rushed into the burning building and rescued a bucket of the mother dough. Thank you, Madame Boudin! More recent San Franciscans with deep French roots include journalists Pierre Salinger and Herb Caen. 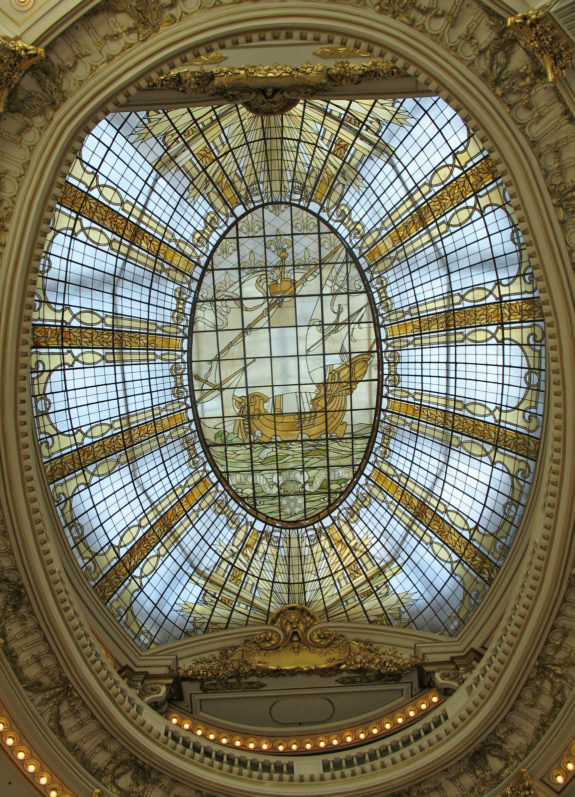 Built in 1896, the building featured a four-story rotunda topped by a dome of stained glass that showcased the symbol and motto of the city of Paris. The store was famous for the gigantic Christmas trees it mounted in the rotunda every year. These were so enormous that actual skis, sledges, and tricycles were used as decorations. The rotunda today is a part of the Neiman Marcus department store. 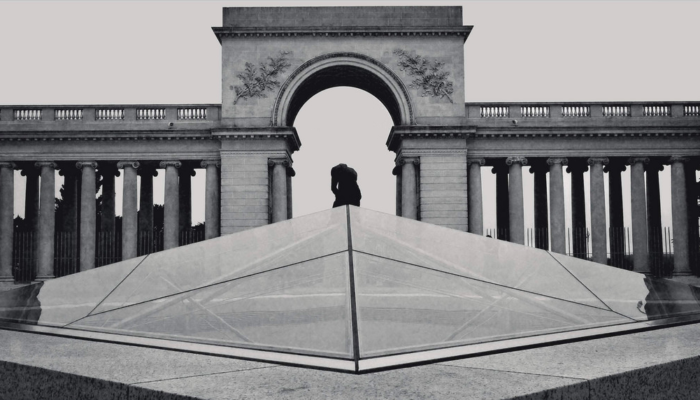 Perhaps the most distinctive French building in the city is the Legion of Honor, modelled after the headquarters of the Légion d’Honneur in Paris. Its construction was funded by the wife of sugar magnate Adolph Spreckels in 1916. Mrs Spreckels, born Alma Emma Charlotte Courday le Normand de Bretteville (there’s a mouthful! 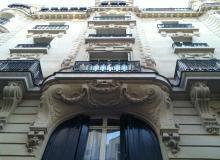 ), wanted to showcase French art and architecture in her adopted city. The building today houses a magnificent collection of art, including many pieces by French artists like Rodin’s ‘Le Penseur’ (The Thinker). 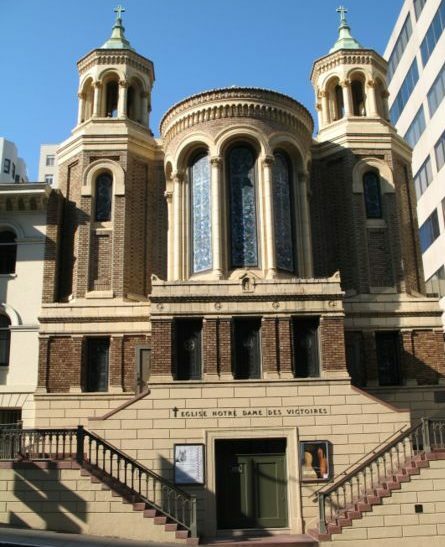 The heart of San Francisco’s French community has long been the Notre Dame des Victoires church. Built during 1864 and rebuilt in 1915 after the Great Earthquake, Sunday mass there is still celebrated in French. Nearby sit the offices of the French consulate, as well as French restaurants like the Café de la Presse, making for a cosy ‘French Quarter’. 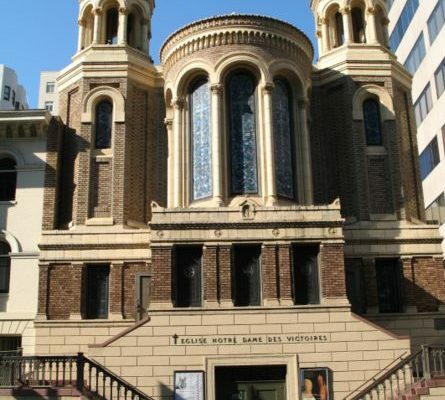 French influence on San Francisco continues to this day, with the church, three French schools, the Alliance Française, the French-American Chamber of Commerce, and many French cultural associations. 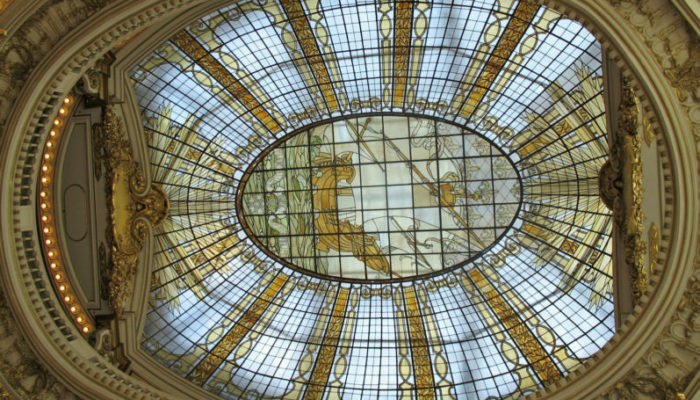 And with an estimated 60,000 French immigrants in the Bay Area, many drawn by the modern-day gold rush of Silicon Valley, the spirit of the Argonauts lives on. To learn more, a wonderful resource is a book French San Francisco by Dr Claudine Chalmers. 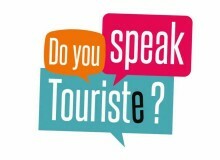 Do you know of other French influences in San Francisco? Share your thoughts and views in the comments box below. Thank you so much for sharing San Francisco recent French history. A quality article, full of documented details. Also, it remind me good old days spent on the Bay Area twenty years ago.